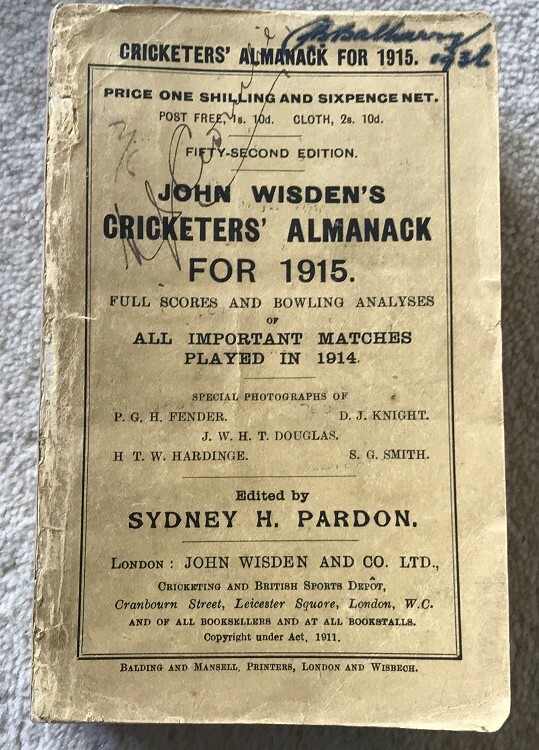 This lot is an Original 1915 Wisden Paperback with facsimile spine. This is in Good to Very Good condition, the covers are nice and tall. They are a touch worn by the spine with a couple of names to the front cover. A nice new spine with text has been added , it is neat and tidy but not an exact copy of an original Wisden. Excellent inside with clean pages and tightly bound, a couple of pages are a couple of mms short , not sure why and not off puttin gbut worth a mention. Some thumbing. Clean page block and an excellent photoplate.